So you’ve decided to order a pair of prescription safety glasses; congratulations, you’ve taken the first step towards clear vision and the piece of mind that comes with eye protection. 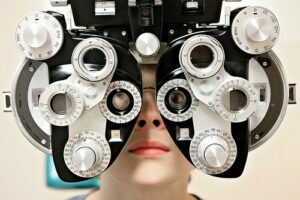 What Lens Options Should I Get for My Prescription Safety Glasses? The next step will be to choose which type and model you’ll select. This decision will be made by factoring in variables such as the conditions under which you’ll use your safety glasses, the material from which they are formed, the type of lens material available in any given frame format, your personal preference in regards to looks and style, and cost. Single Vision/Bifocal – If presbyopia (a loss of flexibility in the eye’s lens due to age) prevents you from focusing on objects in close, a bifocal, trifocal, or progressive lens can help to correct for the condition. If not, a single vision prescription will work for you. Plastic or Glass Lenses – Both options have pros and cons…glass, for instance, provides better optical clarity, but is more fragile. It’s possible that this choice may already be decided for you; prescriptions above certain strength levels require glass lenses. Standard Plastic or Polycarbonate – The two choices (other than high index, see below) if you’re going with plastic lenses. Standard plastic is cheaper; polycarbonate lasts longer due to its innate scratch and impact resistance. High Index Lenses – Available in either plastic or glass and in a variety of high index levels, this material allows for thinner and lighter lenses. If you have a strong prescription you can make use of high index lenses to cut the weight, thickness, and distortion of your lenses. Transition (Photochromic) Coating – Available in several formats, each with its own unique properties, a photochromic coating allows lenses to automatically darken in response to UV light (sunlight) and revert to clear at night or indoors. Tints – If not opting for a photochromic coating, tints in a variety of colors and strengths are available. Mirrored Coatings – The “one-way mirror” of tints, this option coats lens exteriors with a reflective mirror finish while allowing you to clearly see through them. Available in several colors. 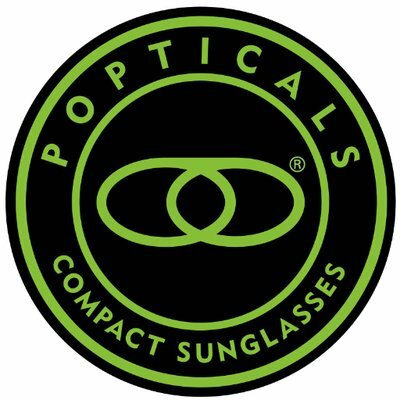 Polarization – By horizontally blocking incoming light rays, a polarization coating greatly reduces sun glare, increases contrast, and improves visual acuity. Typically available in gray or brown but sometimes offered in other colors. Anti-Reflective (AR) Coating – An AR coating is applied to both sides of your lenses to greatly reduce distracting reflections. Strongly recommended for use with any high index lens material. Scratch Coating – A coating that better protects lenses from scratches, chips, and other forms of surface damage. Very useful to preserve plastic lenses; generally not required for glass, which has a built-in tolerance for scratches. UV Protection – Designed to protect eyes from the harmful ultraviolet radiation of the sun. Check first to see if other coatings you may have ordered provide UV protection. If not, a UV coating is a cost-effective and wise investment. Anti-Fog Coating – A coating that prevents water molecules from combining to cause hazing and lens fogging. 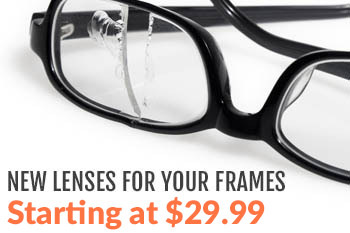 Very useful if your eyewear is exposed to moisture, humidity, or rapid temperature changes. Obviously there is a lot there to digest. We recommend you select those options that provide the greatest return on investment in your particular situation. If you are at all unsure of what any eyewear options do or how they apply to your safety glasses, please don’t hesitate to contact us at Rx-Safety.com for advice and custom recommendations.